As the month comes to a close, we’d like to remind the women readers of our blog to sign up for their annual mammogram. October is National Breast Cancer Month. And we’re giving away some items that will definitely make you think in pink! 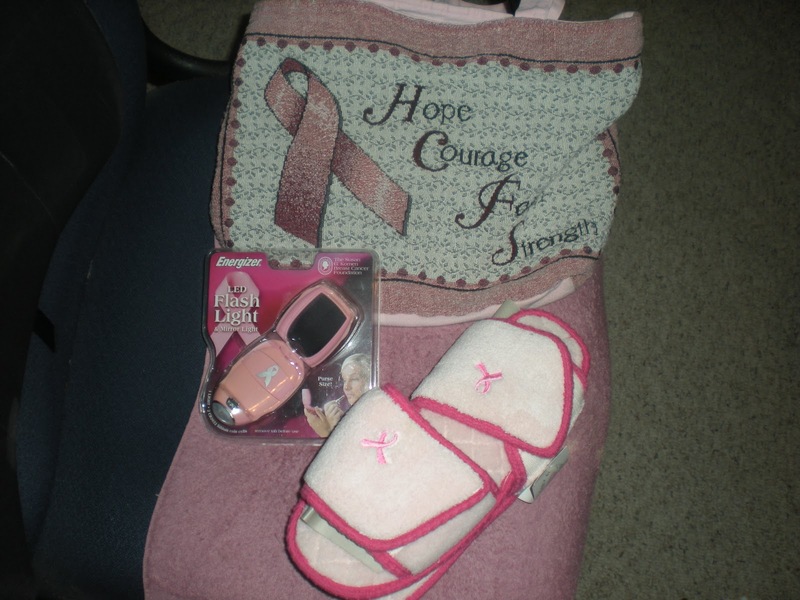 Please share with other readers your story of survival or the story of a loved one to be entered for a chance to win a bag of Breast Cancer merchandise. Ladies AND gentleman should remember to take the time out to routinely check your breast health. Here is a link to an article on the correct way to do a Self Exam from the National Breast Cancer Foundation, Inc.